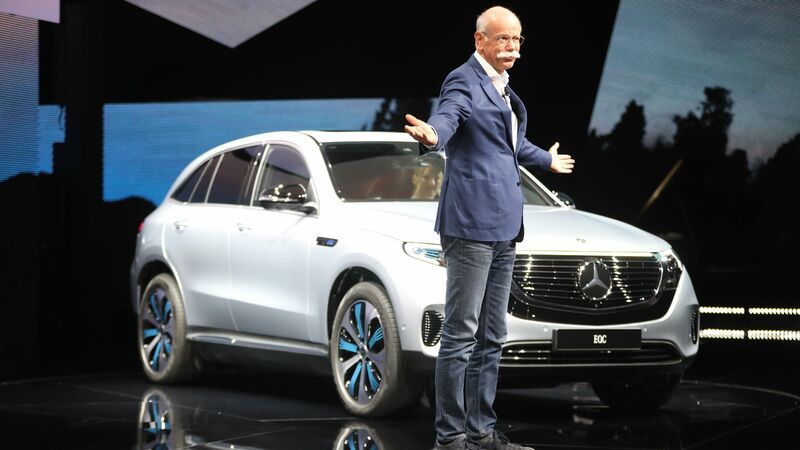 Mercedes-Benz is going "all in" on electric cars says Dieter Zetshe, CEO of Mercedes' parent-company Daimler, according to Bloomberg. The details: Production on the first car in a new series of battery-powered vehicles, called the Mercedes EQC, starts next year. Mercedes plans to invest $12 billion in its move towards electric vehicles. The vehicles will be built at the same assembly plants as the non-electric cars "to be able to better adjust output," Bloomberg reports.